A seriously non-serious shooter game! Pedro Tank is a shooter game, one that takes itself as little as possible serious! It offers you a sort of bunker with a stationary gun, from where you take down a lot of different baddies, the likes of commas, smiley faces, and all sort of other kinds of such minimalist. All in all, I'd say, have it in your collection for when you just want to target things, from a top down perspective, as if you were playing a relaxed arcade game. Because that is what Pedro Tank offers. It also has a few cool bosses, but don't expect them to require special treatment, they too are pretty basic as well. Furthermore, Pedro Tank is pretty simple in terms of the building blocks that it has, in terms of the construction that is based upon. So, all things considered, Pedro Tank is the kind of game that allows you to shoot emoticons, and a few other things, and as such, is a particularly rewarding game. 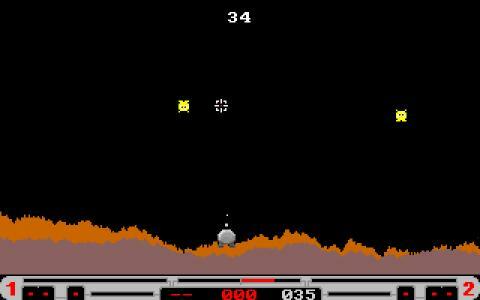 Overall, Pedro Tank could have been a better thing if it had more in terms of enemies, but then again, for that you can download Invasion of the Mutant Space Bats of Doom, serious in terms of the shooting, but a fun infused game.